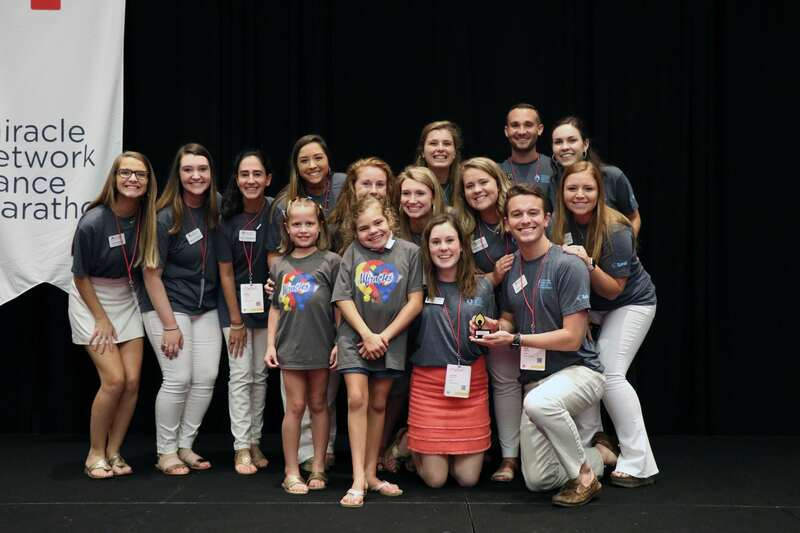 This past weekend, nine college and university Dance Marathon programs were recognized with fundraising awards at the 2018 Miracle Network Dance Marathon Leadership Conference held in Indianapolis, Indiana. 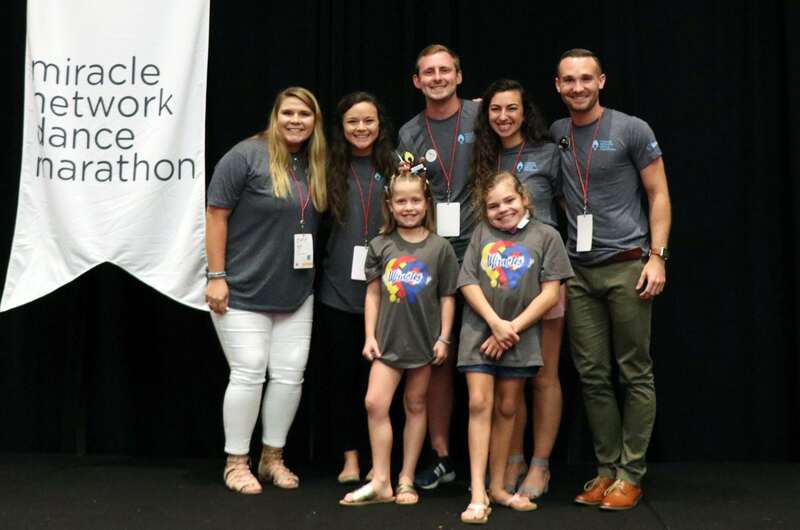 The conference welcomed over 950 student leaders, university administrators, and hospital foundation staff members involved in Dance Marathons that fundraise for local Children’s Miracle Network Hospitals. 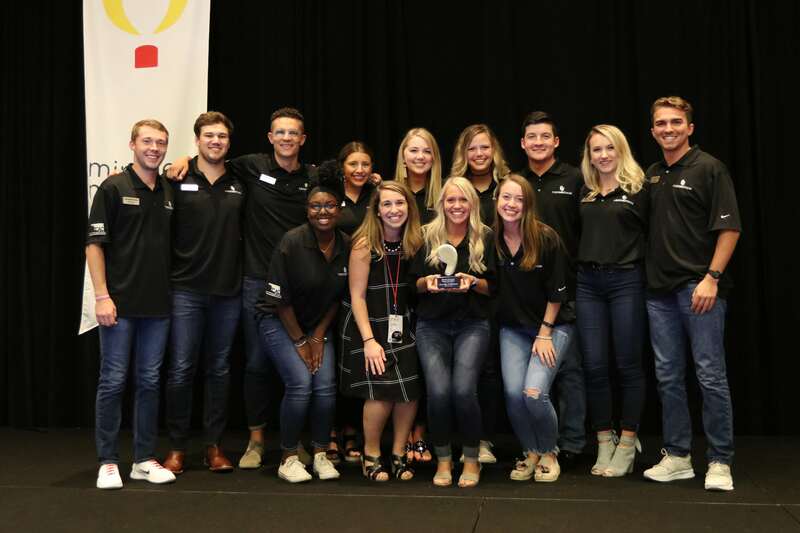 The Extra Comma Club Award is presented to Miracle Network Dance Marathon programs during the year in which they over $1 million annually for the first time, thus adding an extra comma to their fundraising total. 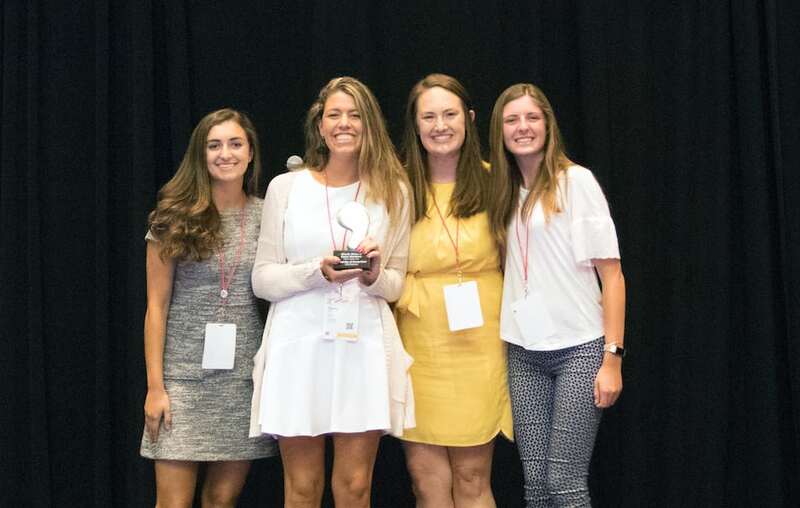 In 2018, three programs reached this fundraising milestone: the University of Connecticut, the University of Oklahoma, and the University of South Carolina. HuskyTHON at the University of Connecticut raised a total of $1,021,485.37 during the 2017-2018 academic year. This total was a 22% (or $185,310) increase over their previous year’s total and makes them the 9th highest fundraising Miracle Network Dance Marathon program in the nation. HuskyTHON was founded in 1999 and fundraises for Connecticut Children’s Medical Center in Hartford, Connecticut. This past year, they had 2,471 participants fundraise, contributing 93% of the overall fundraising total. 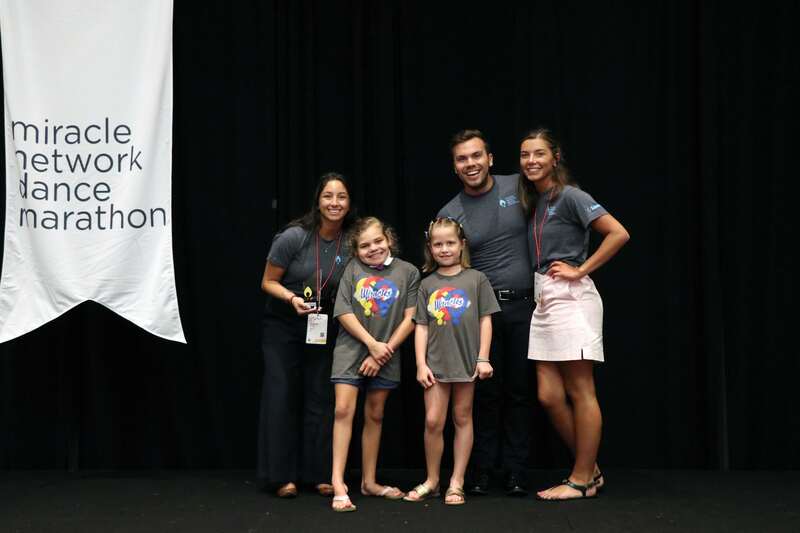 Soonerthon at the University of Oklahoma raised a total of $1,004,970.18 during the 2017-2018 academic year. This total is a 24% (or $196,949) increase over their previous year’s total and makes them the 10th highest fundraising Miracle Network Dance Marathon program in the nation. Soonerthon was founded in 1996 and fundraises for the Children’s Hospital Foundation in Oklahoma City, Oklahoma. This past year, they had 2,568 participants fundraising from 76 different teams. USC Dance Marathon at the University of South Carolina raised a total of $1,025,171.00 during the 2017-2018 academic year. This total is a 46% (or $321,882) increase over their previous year’s total and makes them the 8th highest fundraising Miracle Network Dance Marathon program in the nation. Even more impressive, this total is nearly double the $527,810 that organization raised in 2016. USC Dance Marathon was founded in 1999 and fundraises for Palmetto Health Children’s Hospital in Columbia, South Carolina. This past year, they had 1,714 participants fundraise, raising an average of nearly $470.00. 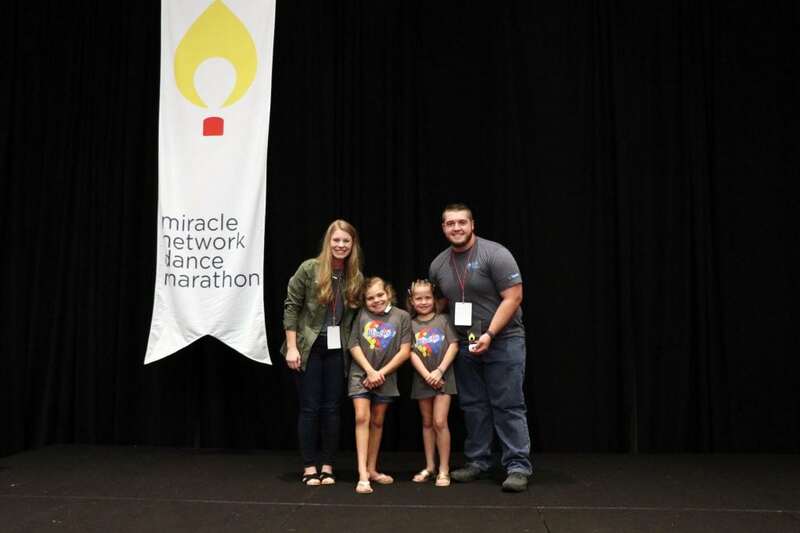 The Miracle Maker Award is presented to the Dance Marathon programs that had the highest combined monetary and percentage increases in their overall fundraising over the previous year. Programs are divided into categories based on the year their organization was founded. 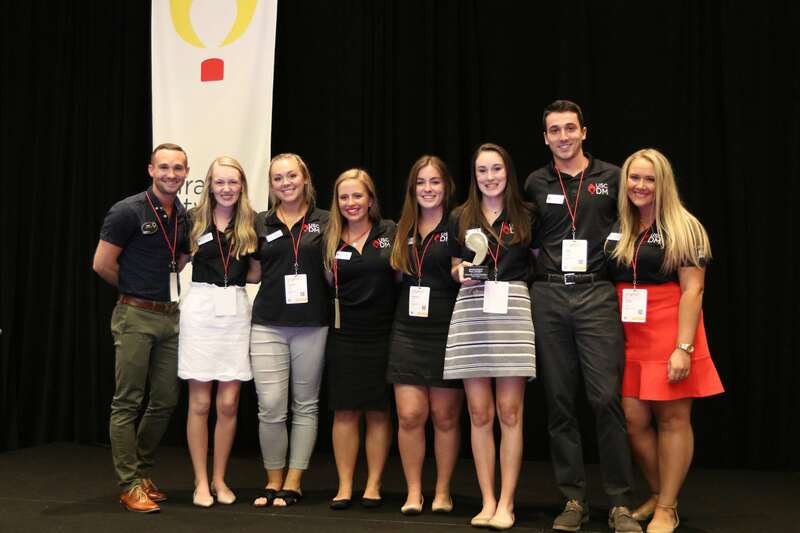 These programs demonstrate that it is possible to continue to build a lasting tradition on campus and grow fundraising for their local CMN Hospitals. In their first year on campus, RhodyThon at the University of Rhode Island fundraised $147,903.28 for Hasbro Children’s Hospital in Providence, Rhode Island. 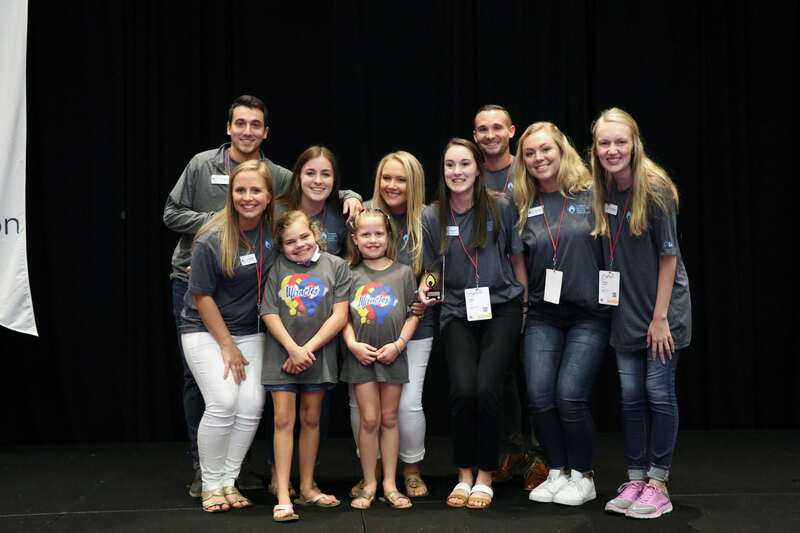 Their fundraising total broke a Miracle Network Dance Marathon international record for the highest fundraising total for a first-year program in the movement’s 27-year history. TTU Miracle at Tennessee Tech University raised a total of $61,830.00 during the 2017-2018 academic year, a 1,031% (or $56,363.26) increase over their previous year’s total. 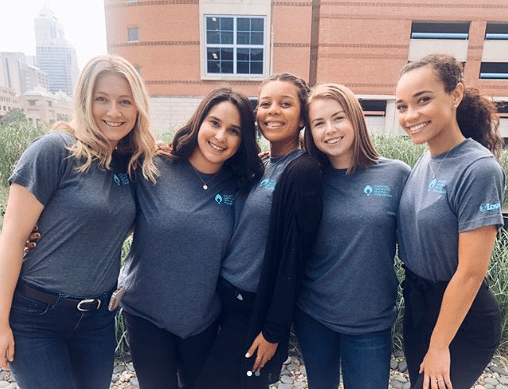 Their organization was founded in 2016, making this past year’s event their second event, and their fundraising benefits Monroe Carell Jr. Children’s Hospital at Vanderbilt in Nashville, Tennessee. Dance Marathon at San Diego State University raised a total of $243,206.54 during the 2017-2018 academic year, a 69% (or $98,998) increase over their previous year’s total. Their organization was founded in 2015 and their fundraising benefits Rady Children’s Hospital in San Diego, California. Clemson Miracle at Clemson University raised a total of $234,851.79 during the 2017-2018 academic year, a 85% (or $108,003) increase over their previous year’s total. Their organization was funded in 2010 and fundraises for Greenville Health System Children’s Hospital in Greenville, South Carolina. Charleston Miracle at the College of Charleston raised a total of $115,678.54 during the 2017-2018 academic year, a 126% (or $64,601) increase over their previous year’s total. Their organization was founded in 2007 and fundraises for the MUSC Shawn Jenkins Children’s Hospital. USC Dance Marathon at the University of South Carolina raised a total of $1,025,171.00 during the 2017-2018 academic year, a 46% (or $321,882) increase over their previous year’s total. Their organization was founded in 1999 and fundraises for Palmetto Health Children’s Hospital in Columbia, South Carolina.